Have you, like us dreamed of owning your own farmhouse one day where you can host your own parties and get-togethers with friends and your fam? Well, we have a little something for you then. 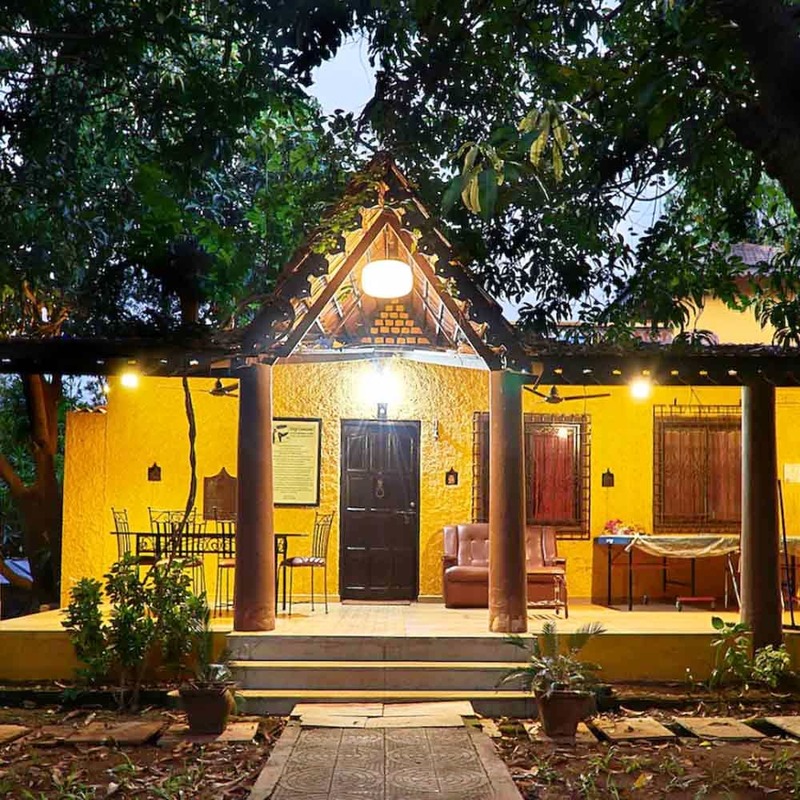 Check out LivingStone, a beautiful farmhouse in Karjat, sure to blow your mind away. Looking just like a vintage bungalow on the outside, LivingStone is a 5-acre farmhouse that is located in Karjat. Perched right next to River Ulhas, this 3BHK farmhouse is shadowed by mango trees which gives it a very rustic feel (we're not complaining). Since LivingStone is nestled close to the mountains and beside the river, experience peace and nature at their best and enjoy the scenic abundance that surrounds the space. The space boasts of 3 air-conditioned bedrooms (equipped with all modern facilities) with attached bathrooms that will ensure maximum comfort for all, a spacious living room with a big TV (catch up on some football maybe?) and a semi-functional kitchen for you to use. The property can easily accommodate upto 12 guests. Don't forget to use the private pool that you will have access to, throughout your stay at this farmstay. If there's any assistance you might need during your stay, the caretaker is always on the premises and ever-ready to help you. The backyard of the river opens to the stunning views of the river and mountain, so are you going to say no to spending your weekend at this piece of paradise?